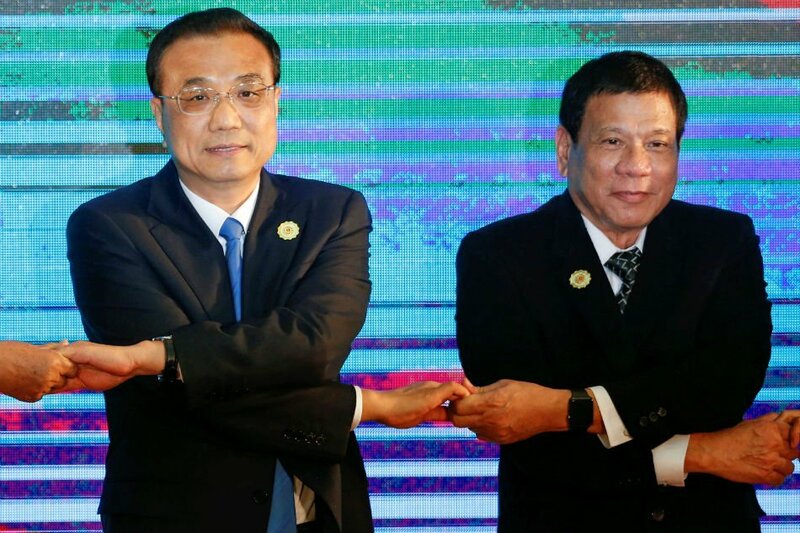 (8 November 2017) Premier Li Keqiang, along with other Chinese officials will attend a series of high-level meetings in the Philippines from November 12 to 16. This will be the first trip by a Chinese premier to the Philippines in 10 years. Among the topics to be discussed at the meetings will be the Regional Comprehensive Economic Partnership agreement. Additionally, there will be 30 agreements signed at the China-Asean leaders’ meetings in areas like connectivity, food safety, poverty alleviation and anti-corruption. In January to July 2017, trade volumes between China and Asean increased 14.5 percent year-on-year, making China Asean’s biggest trade partner for eight consecutive years. (5 November 2017) The Monetary Authority of Singapore (MAS) and the China Securities Regulatory Commission (CSRC) have agreed to collaborate on the development of their capital market policies including initiatives to support the listing of qualifying Chinese companies in Singapore, explore possible mutual recognition of collective investment schemes and staff exchange programmes between the two authorities. This took place during the second MAS-CSRC Supervisory Roundtable. (8 November 2017) The Cambodian Tourism Ministry report showed that about 841,340 Chinese tourists had visited Cambodia in the first nine months of 2017. This was a massive increase of 45.7 percent compared to the same period last year. Chinese holidaymakers accounted for 21.5 percent of the international tourists visiting Cambodia during the first nine months of this year. China topped the chart among the top 10 arrivals to Cambodia, followed by Vietnam and Laos. (8 November 2017) Philippine Secretary of National Defense Delfin Lorenzana revealed that President Rodrigo Duterte stopped construction work on a newly formed sandbar in the disputed South China Sea after protests from China. The dispute over a string of sandbars called Sandy Cay emerged in August and prompted China and the Philippines to consider negotiating some sort of protocol or arrangement to allow both sides to prevent such incidents from spiraling out of control, Lorenzana said. The rift over the tiny sandbar near the Philippine-occupied Thitu island in the Spratlys archipelago remains unresolved but both sides pledged not to occupy any new territory, he said. (5 November 2017) China and Laos have vowed to further strengthen cooperation to jointly build a strong community. The pledge came during a meeting between Bounnhang Vorachit, General Secretary of the Lao People’s Revolutionary Party Central Committee and President of Laos, and Song Tao, special envoy of General Secretary of the Communist Party of China (CPC) Central Committee Xi Jinping. Song, who is also head of the CPC Central Committee’s International Department was in Laos to brief the Laotian side on the 19th CPC National Congress.